Coca Cola Cake recipe make moist coca cola chocolate cake. This easy chocolate cake recipe is so good, and it’s made from scratch in just 30 minutes. 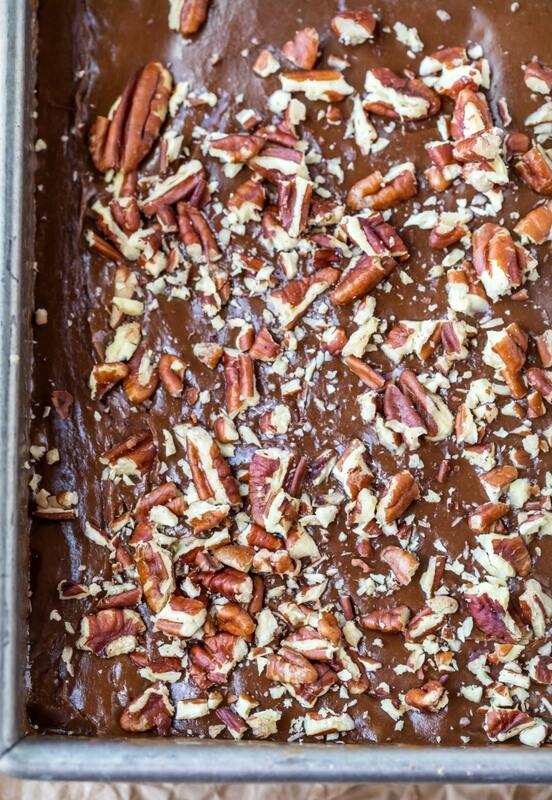 One of my family’s favorite recipes is Texas sheet cake. 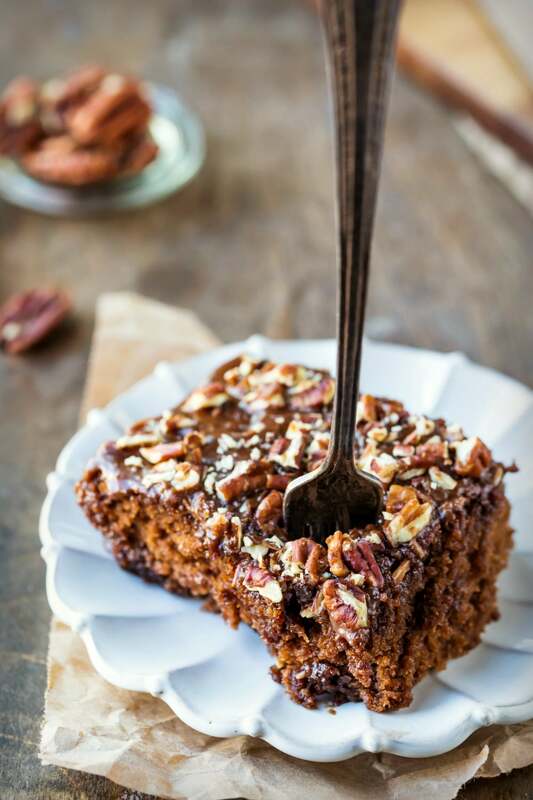 This coca cola cake is pretty similar to that recipe with just a few key differences. 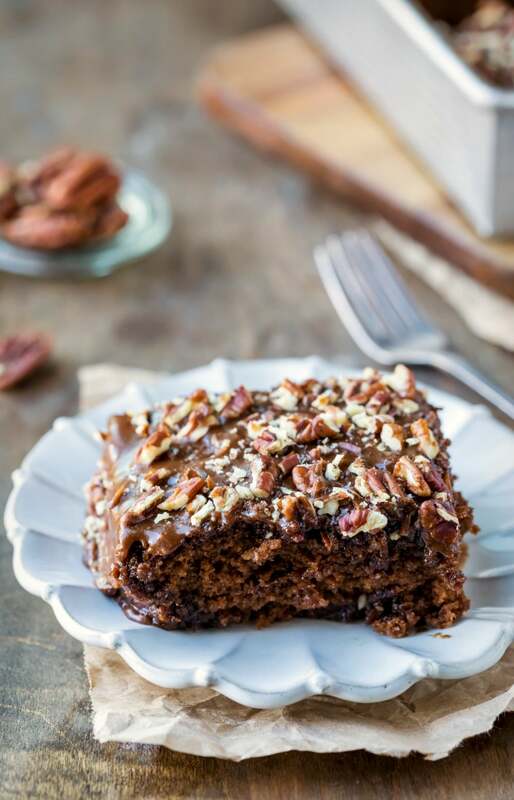 This cake bakes in a 9×13-inch pan instead of a jelly roll pan. Also, it uses Coca Cola in place of part of the buttermilk in a Texas sheet cake. Coca cola cake also uses mini marshmallows in the cake. This cake tastes better as it sits. The flavors aren’t really there straight out of the oven, but they come out more as the cake has a chance to rest. I’d suggest making the cake at least an hour or two before it will be served so that it can sit. I’ve found that melting the marshmallows and stirring them into the batter helps them better incorporate into the batter. Sifting the powdered sugar helps prevent lumpy frosting. Baking spray with flour: Greasing and flouring isn’t necessary with this recipe, but I use nonstick baking spray with flour almost every time I make a cake because it works so well. Silicone Cookie Spatula: Not only is this spatula great for taking up cookies, but it’s also the perfect size for taking smaller pieces of cake or brownies out of the pan. 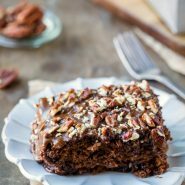 If you’ve tried this coca cola cake recipe, don’t forget to rate the recipe and leave me a comment below. I love to hear from people who’ve made my recipes! You can SUBSCRIBE to receive my latest recipe newsletters or FOLLOW ME on FACEBOOK, INSTAGRAM and PINTEREST for even more delicious food. 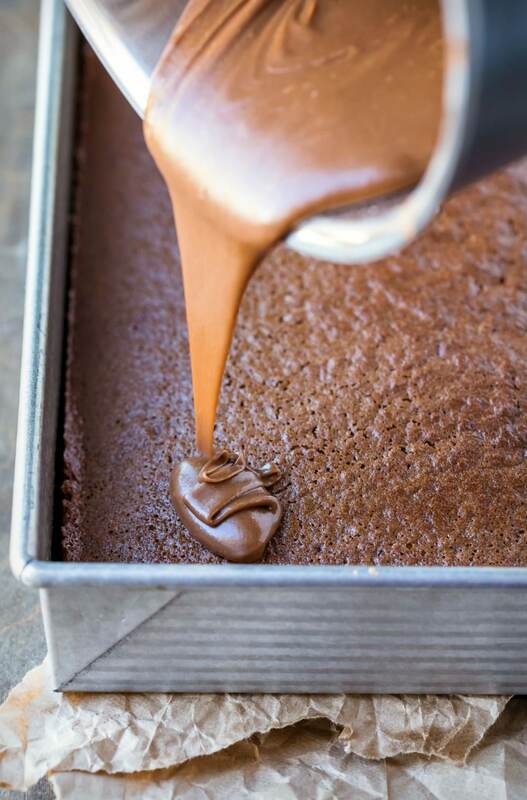 Coca Cola Cake recipe makes a moist chocolate cake with rich chocolate icing. Combine butter, cocoa powder, and cola in a medium saucepan over medium heat, stirring until butter melts. Stir in marshmallow, and heat until mostly melted. Stir in flour, sugar, and baking soda. Add eggs, and stir until blended. Stir in buttermilk, Greek yogurt, and vanilla. Bake for 20-30 minutes, or until a pick inserted in center comes out clean. Make the icing during the last 10 minutes of baking. To make the frosting, combine butter, cocoa, and cola in a medium saucepan over medium heat, stirring until butter melts. Remove from heat, and stir in powdered sugar, vanilla, and pecans. Remove cake from oven, and carefully pour icing over warm cake. *You'll need almost an entire 12 ounce bottle of cola. ***Cake tastes best after sitting for at least an hour. Hey, I just finished making this and it looks amazing! I can’t wait to have it at the party I made it for tomorrow. I do have a question though. In the ingredients, you have greek yogurt listed but I didn’t see anywhere in the directions as to when to add it. Looking at a few other similar recipes, I didn’t see it included so I left it out. I do hope there are no ill effects of that decision. When should it have been added? Hey! So sorry about that! The ingredients are listed in the order that they’re used, so it should be added with the buttermilk and vanilla. It helps to make the cake extra moist, but I hope that it still tastes great without it. Again, sorry about the omission, and thank you for letting me know! Love it! This is a great chocolate cake recipe. Thanks! Very moist cake. This was a hit with the whole family. Glad you liked it! Thank you for taking the time to come back and comment!